The former president of a Molino business was sentenced to state prison Thursday afternoon for embezzling tens of thousands of dollars from the company. Scott Allen Taylor, 42, was sentenced by Judge Jan Shackelford to 30 months in prison for fraud and forgery for the crimes against Hendrix Service Center in Molino. He faced up to 30 years in prison but entered a plea agreement that dropped a money laundering charge and capped his maximum possible sentence at three years. Taylor embezzled $76,483.09 from Hendrix by diverting client payments to an unauthorized and undisclosed account at Hancock Bank, according to presecutors. To open the account, he forged the signatures of the majority shareholder in the company on account opening records which he then presented to the bank. Taylor was the only person authorized to write checks and withdraw money from the account. Taylor was president of the corporation at the time and owned a minority share of the company. The plea agreement called for him to forfeit his stock. According to court documents, he was responsible for processing invoices and payments from an extended warranty company, and he diverted direct deposit payments into the Hancock Bank account. The documents state a total of $72,501.72 was deposited into the unauthorized account, and Taylor was reimbursed $3.981.37 for a total of $76,483.09. Investigators found that the majority of the purchases from the account appeared to be personal expenses to several restaurants, Disney resorts, Disney tickets, Google, PlayStation, barber shops and other stores. Taylor was remanded into custody Thursday afternoon. A Simply Delicious Cooking class will be held September 18-19 at the Escambia Count Extension Office on Stefani Road in Cantonment. 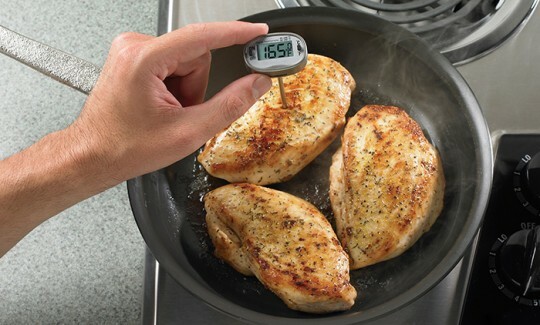 Attendees can learn the keys to quick, easy, economical cooking. The class will include hands-on activities, tasting and recipes. Participants will learn grilling techniques, instant pot one dish meals, easy entertaining techniques and creative appetizers. The cost is $15 per day, and there will be prizes for those attending both days. Friday: Showers and thunderstorms likely, mainly after 10am. Mostly cloudy, with a high near 87. Southeast wind 5 to 10 mph. Chance of precipitation is 70%. New rainfall amounts between a tenth and quarter of an inch, except higher amounts possible in thunderstorms. Friday Night: A 40 percent chance of showers and thunderstorms. Mostly cloudy, with a low around 71. Southeast wind around 5 mph becoming calm. Saturday: Showers and thunderstorms likely. Cloudy, with a high near 87. Southeast wind 5 to 10 mph. Chance of precipitation is 60%. Saturday Night: A 30 percent chance of showers and thunderstorms. Mostly cloudy, with a low around 72. East wind around 5 mph. Sunday: A 50 percent chance of showers and thunderstorms. Mostly cloudy, with a high near 88. Southeast wind 5 to 10 mph. Labor Day: A 40 percent chance of showers and thunderstorms. Partly sunny, with a high near 89. East wind around 5 mph. Monday Night: A 20 percent chance of showers and thunderstorms. Mostly cloudy, with a low around 71. Calm wind becoming east around 5 mph. Tuesday: A 40 percent chance of showers and thunderstorms. Partly sunny, with a high near 90. Tuesday Night: A 30 percent chance of showers and thunderstorms. Mostly cloudy, with a low around 71. Wednesday: Showers and thunderstorms likely. Partly sunny, with a high near 90. Chance of precipitation is 60%. Wednesday Night: A 40 percent chance of showers and thunderstorms. Mostly cloudy, with a low around 71. Thursday: A 50 percent chance of showers and thunderstorms. Mostly cloudy, with a high near 90. 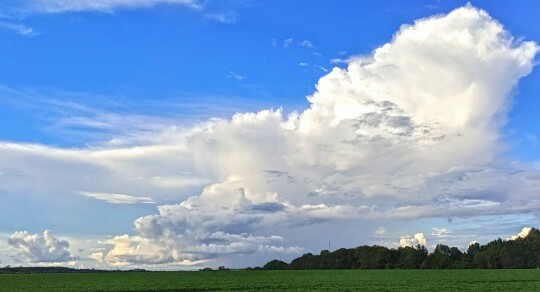 Pictured: Clouds and blue skies over Walnut Hill Thursday afternoon. NorthEcambia.com photo, click to enlarge. Students have filled the hallways since the first day of school at Escambia County’s two newest schools. And Thursday, the Escambia County School District held official ribbon cuttings at Kingsfield Elementary School in Cantonment and Beulah Middle School on Nine Mile Road. 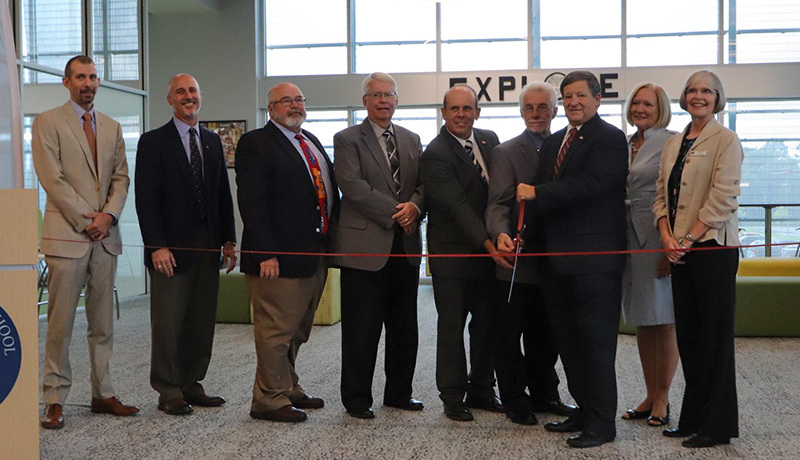 “We’ve got the eye of the tiger…..We are the champions, and you are going to hear us roar,” the Kingsfield Cubs chorus sang their new spirit song to the tune of Katy Perry’s “ROAR” during the ribbon cutting ceremony. Thomas said he asked several Kingsfield Elementary students what they like about the new school. And the very first answer he received was not about multi-million dollar building. “I like the teachers,” the student said. 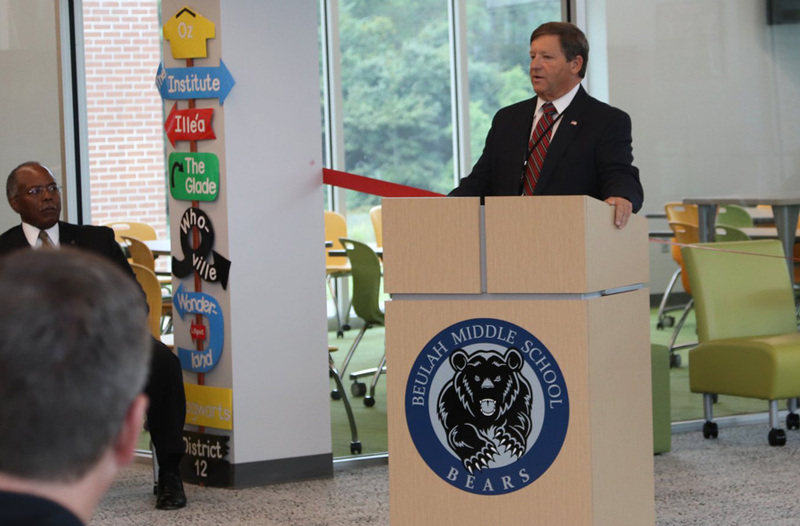 Pictured top: The official ribbon cutting at Beulah Middle School. 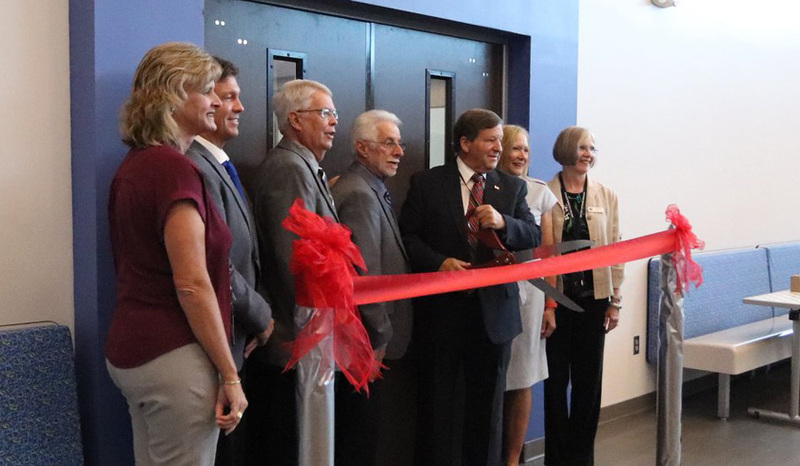 Pictured below: Ribbon cutting at Kingsfield Elementary School. Photos for NorthEscambia.com, click to enlarge. Siding with state regulators, an appeals court Thursday ruled that controversial electronic games played in bars and other establishments are illegal slot machines. 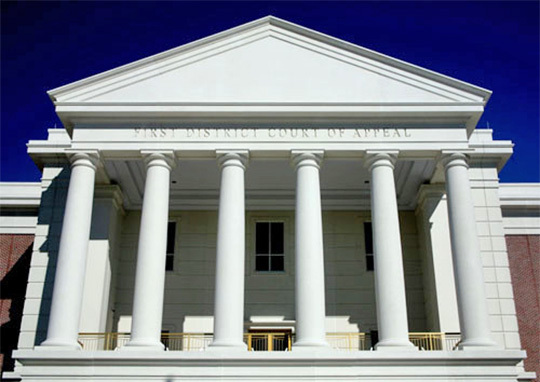 A three-judge panel of the 1st District Court of Appeal upheld a circuit judge’s decision that what are known as “pre-reveal” games violate laws preventing slot machines in most of Florida. The panel’s 10-page ruling found, in part, that the games meet the definition of slot machines because they include an element of chance. The ruling backed the Florida Department of Business and Professional Regulation’s Division of Alcoholic Beverages and Tobacco, which prompted the long-running dispute by ordering two businesses to remove the machines. That move drew legal challenges from Blue Sky Games, which developed the games, and Jacksonville-based Gator Coin, which leased the games to businesses. Supporters of the games, which also are known as Version 67, have contended that the machines are legal because they include a “preview” feature that advises players of the outcome of the games. But regulators and other critics have argued the preview feature doesn’t matter because the “random number generator” used to create the games equates to the definition of slot machines, which are games of “chance,” under state law. Also, a key issue has been whether the slot-machine law applies to playing a single game or a series of games. While the outcome of the first “pre-reveal” game is known in advance, a player at the outset does not know the results of subsequent games. The games have drawn attention in the gambling industry and in the Legislature, which this year debated a proposal to outlaw the machines. The legislative proposal did not pass. 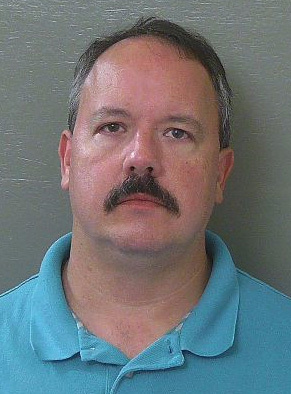 The appeals court upheld a decision last year by Leon County Circuit Judge John Cooper, who originally sided with Blue Sky Games and Gator Coin but then reversed himself. The reversal came after the Seminole Tribe of Florida, which became involved in the case, asked Cooper to reconsider his initial decision. The tribe operates casinos that include slot machines. 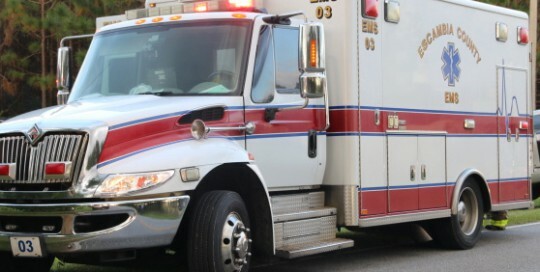 A man was injured in Cantonment Thursday when a car fell on him. The man was reportedly working on the car when the accident happened just before noon on Andalusia Road north of Muscogee Road. He was transported to an area hospital by Escambia County EMS. The Cantonment Station of Escambia Fire Rescue also responded. 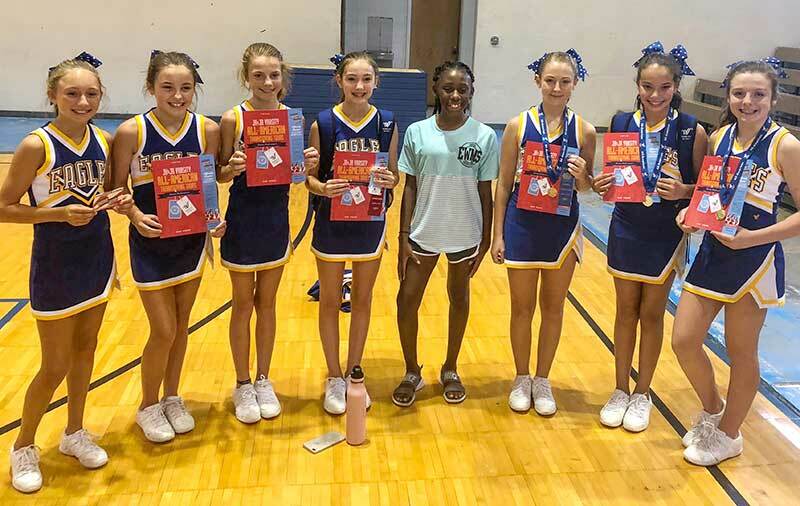 During a recent cheer camp at Ernest Ward Middle School, eight cheerleaders were named UCA All American. Each has been invited to take part in the Thanksgiving Day Parade at Disney World. 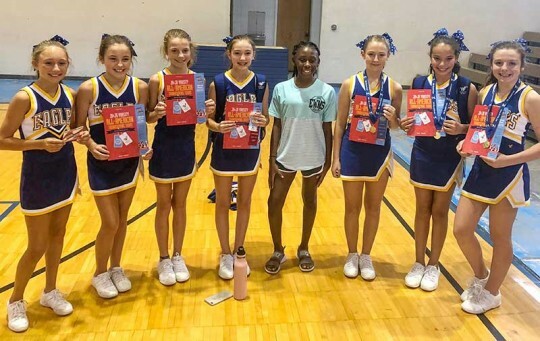 They are (L-R) Jamison Gilman, Carsyn Dortch, Chloe Criswell, Leah Hetrick, Zakyla Smith, Sarah Bailey, Emma Gilmore and Leila Sanders. Photo for NorthEscambia.com, click to enlarge. Rose Marion Findley, 83, went home to be with her Savior on Monday, August 27, 2018, in her home surrounded by family. She was born in Alabama but had lived in Pensacola, FL since the age of 7. She was a devoted mother, sister, grandmother and great-grandmother and a long time active member of Pinehaven Missionary Baptist Church, Pensacola, FL. She was preceded in death by her parents, Johnny and Carrie Burkett; brothers, Joseph and Willie Burkett; sisters, Elizabeth McKown and Vernell Rowell; grandchild, Kristina Myers; and nieces, Donna Atkinson, Irma Jean Hudson and Sherri Jordan. Survivors include her son, Henry “Paul” Findley of Foley, AL; daughter, Zeena E. Findley (Greg Beals) of Sweetwater, TN; sister, Ruth Elliott of Pensacola, FL. She is also survived by her grandchildren, Gage, Henry and Tyler Findley (twins), Erica, Terry, and Devin Myers; great-grandchildren, Paris Farmer, Hunter and Paisley Myers, Elaina Rose, and Nate Findley, all of whom she loved dearly; and many nieces and nephews. Funeral services will be at Faith Chapel Funeral Home North on Saturday, September 1, 2018. Visitation will be at 10 a.m. with services to follow at 11 a.m. Graveside services will follow at Clopton Cemetery on Davis Hwy. Officiating pastors will be Bro. Jason Douglas and Bro. Jimmy Lancaster. The family is very grateful that Bro. Jimmy could come from MI. He was Rose’s Pastor for 26 years. Special thanks to Covenant Care Hospice, Dr. Alsheik (Cardiology) and Baptist Hospital Doctors and Nurses for the care they provided. Also to her daughter, Zeena, and niece, DJ Bell for the loving care that enabled our mother to remain at home. Pallbearers will be Chuck Bell, Terry and Devin Myers, Jody Skipper, Dru Metrolis, and Sean Powell. In lieu of flowers, please make donations to Covenant Care Hospice. Faith Chapel Funeral Home North is entrusted with arrangements. Pensacola snapped a 56-inning streak without a homer to power past the Smokies 5-1 Thursday night at Smokies Stadium. Having not homered at all in their previous series against the BayBears, Shed Long homered off Matt Swarmer (L, 5-5) in the top of the seventh inning, which extended the Wahoos lead to 3-1 at the time. After a walk to Gavin LaValley, Taylor Featherston crushed a home run to left center, which put Pensacola up 5-1. That was plenty of offense for Seth Varner, who turned in a fine bounce-back effort after his most recent outing against Mobile. On Thursday, Varner dealt six innings and allowed one run on three hits while striking out four. Carlos Navas does not get credit for the save; however, he pitched the final 2.1 playable innings for the Wahoos in scoreless fashion. With a 2-2 count on Jesse Hodges, the rain came pouring down, and the field was left unplayable. After about a 40-minute delay, the game was declared official. With the win, Pensacola maintains a half-game lead over the BayBears in the wildcard standings, and with Biloxi’s extra-inning win against the Barons, the Wahoos still trail the Shuckers by a half game in the second-half standings. The series continues Friday night when RHP Vladimir Gutierrez (9-10, 4.50) tries to put his most recent start behind him. He will be opposed by LHP Justin Steele, who is only making his second start of the season with Tennessee, after recovering from Tommy John surgery. Deputies discovered a Walnut Hill man was pistol-whipped after he allegedly strangled his girlfriend. 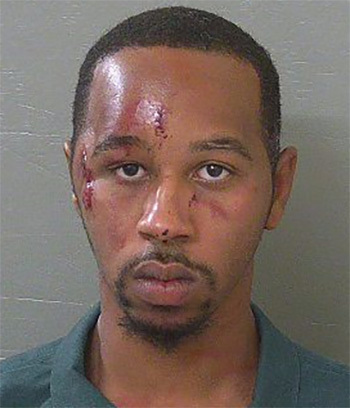 Cordaryl Lewis was charged with domestic battery by strangulation for the attack on the woman. The Escambia County Sheriff’s Office responded to Atmore Community Hospital where the victim said she became involved in a verbal argument with Lewis about leaving the house they had just bought. The altercation became physical and Lewis choked her to the point that she lost consciousness, according to an arrest report. Her injuries were consistent with her statement, according to deputies. When deputies arrived at the couple’s home in Walnut Hill, they found Lewis had multiple wounds to his face and was bleeding heavily after being pistol whipped by a third party whose name has not been released. That individual has not been charged. The Sheriff’s Office said Lewis has a 1-year old child with the victim. Lewis was transported to Sacred Heart Hospital and released prior to being booking into the Escambia County Jail. He was later released on a $5,000 bond.